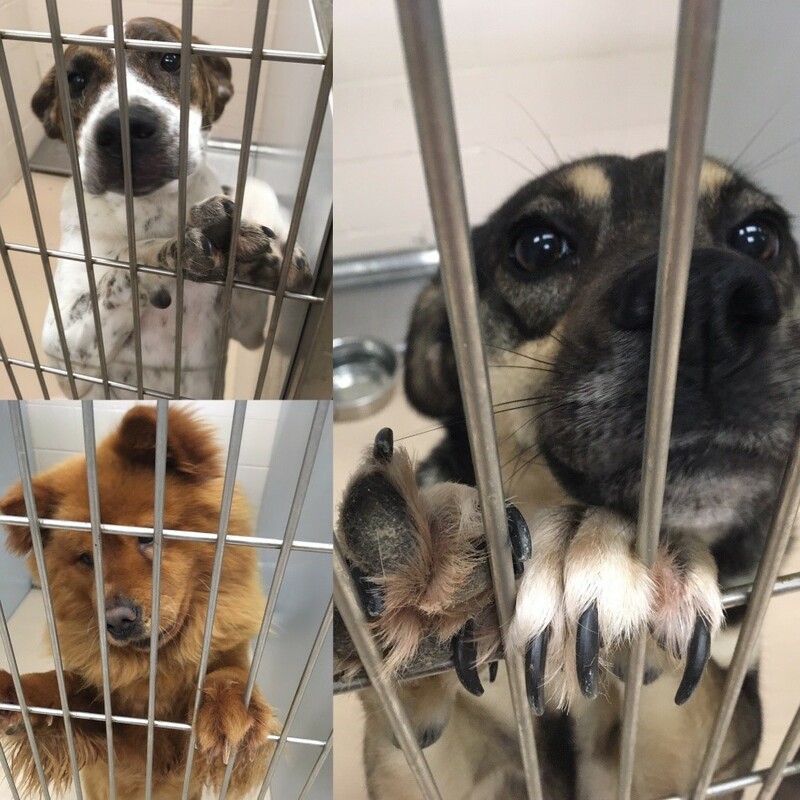 It’s Saturday, and finally we’re at the shelter I’ve been so eager to see: Stuttgart. You see, I adopted a LHK9 pittie named Cane 2 years ago, and this is the shelter he came from. At home while we shower him with love and kisses, I always wondered where he came from. Seeing it in person, I’m not going to lie, it was hard. I know he came from here, but I honestly can’t imagine it. Not only did I get to see where he came from, but I also got to meet his Southern foster mom, Lissa. She and I had a special moment, and got to share our experiences about this very special boy. Speaking of special boys, today I was on puppy duty and met sweet Mallow, as in Marshmallow! Unfortunately, Mallow has been exposed to Parvo, is malnourished, and isn’t up to date with shots, so I wasn’t able to walk him with the other pup. Instead, I rocked him like he was my baby boy. I spent most of my time at Stuttgart bonding with this puppy. We gave him a bath, tested him for heartworm, gave him a dose of flea/tick meds, and just showered him with love. He started off scared, but a little time with him, and he was bouncing around and loving up on everyone. Because his paws couldn’t be on the ground, we let him bounce around in a volunteer’s car. It’s heartwarming to watch a pup go from scared to just being a happy puppy. At one point he jumped on my back and grabbed my braid like a toy, it was the most adorable thing! Saying goodbye to a dog you just bonded with is so difficult. Placing him back in his kennel, walking way, hearing the crying, and not knowing what’s next. . . breaks your heart. I just hope, he felt the love we all gave him. I hope he felt like every puppy should feel, if even for a few hours. And I hope, like my Cane, he makes it out. Today we visited the Hazen Animal Shelter. 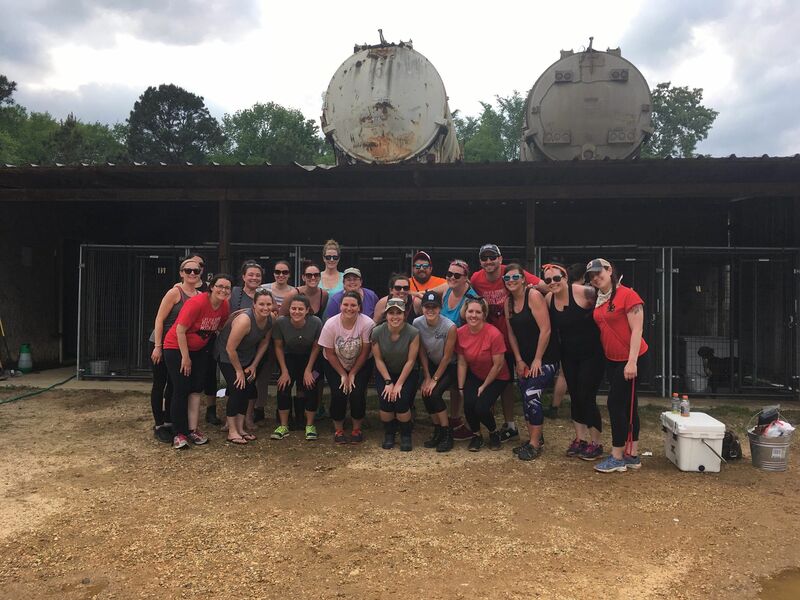 It’s not what you would typically think of when you hear “animal shelter” – it’s essentially a row of covered kennels next to a wide open field. 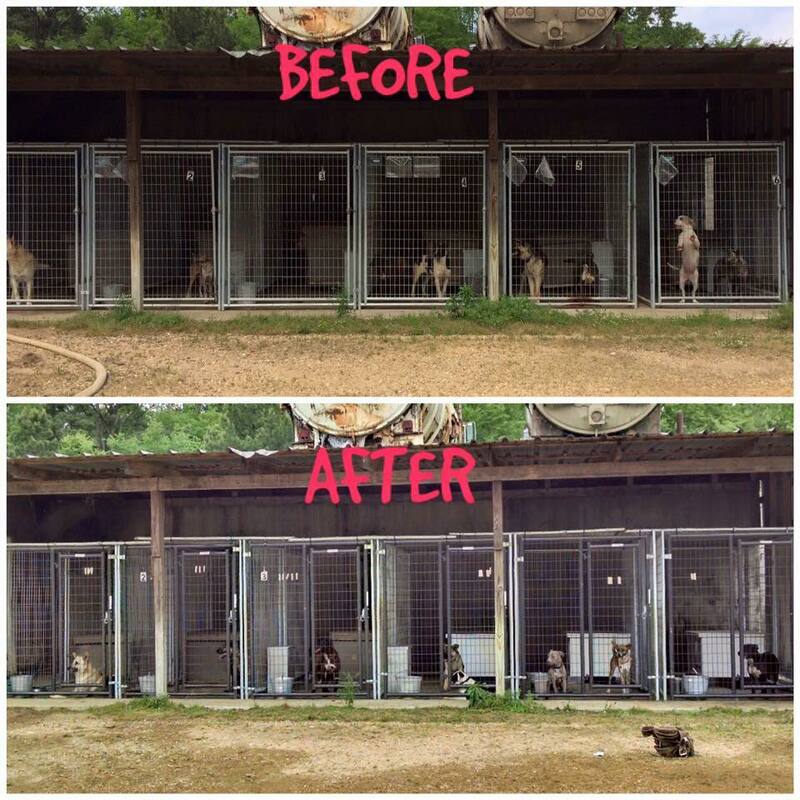 Over the last 5 years, Last Hope has made improvements to the Hazen Shelter to lessen the dogs’ exposure to the elements. We added an extended roof covering, built a storage shed, and insulated dog houses. 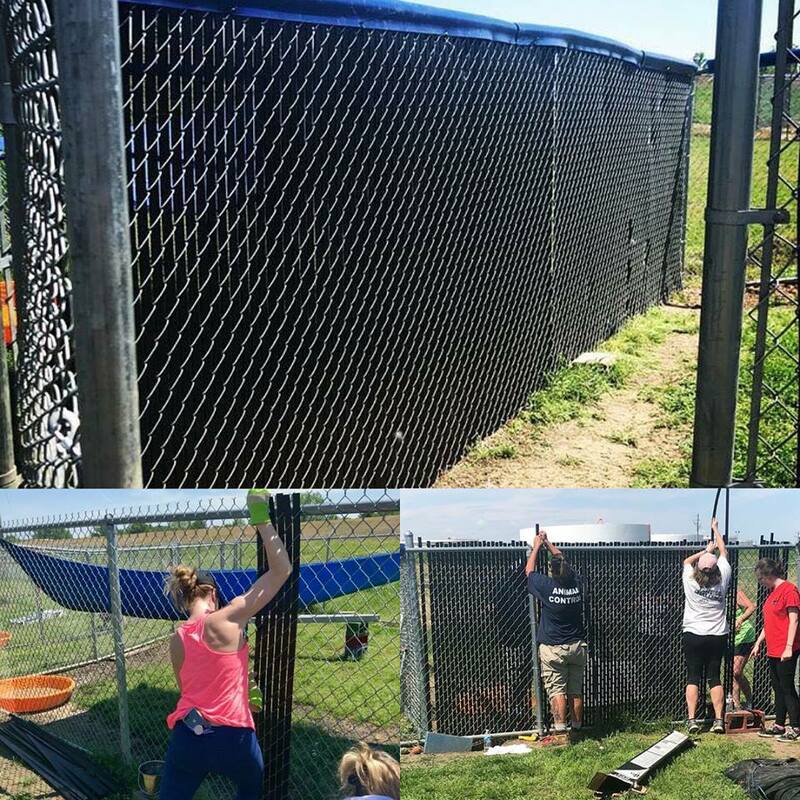 Today we bathed dogs, scrubbed the kennels and dog houses, and hung screen panels to help control the biting flies that have been pestering the dogs. These panels also helped cool the shelter down by at least 10 degrees. We did heartworm testing and out of the five dogs in the shelter, three of them are unfortunately heartworm positive. 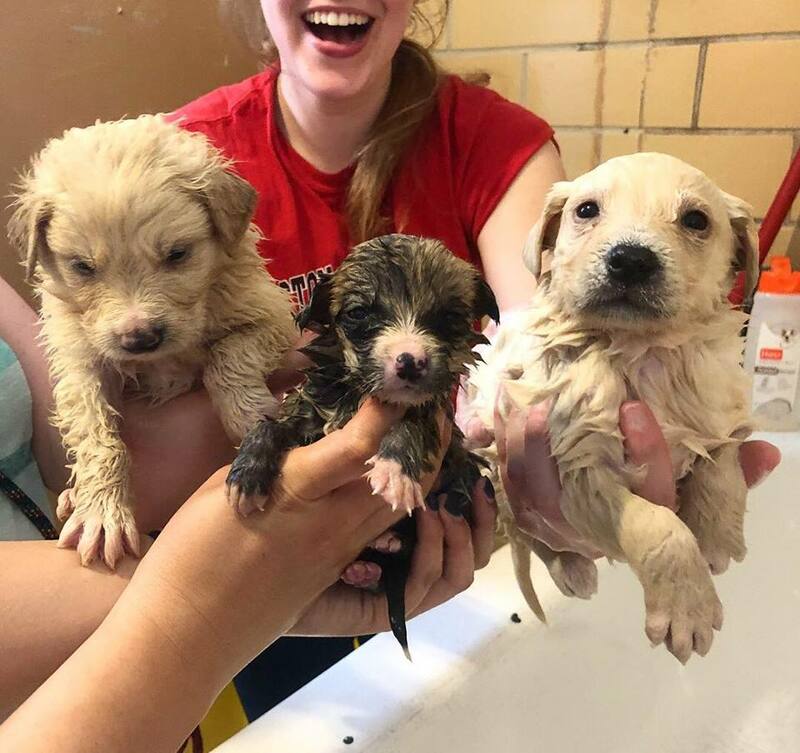 On the plus side, 3 dogs got to leave today to go into foster homes and will soon make their way to Massachusetts thanks to Rescue Road and Last Hope. The remaining two will wait until foster homes are found. While we were there, we noticed a problem with the electricity, so there are currently no working fans. 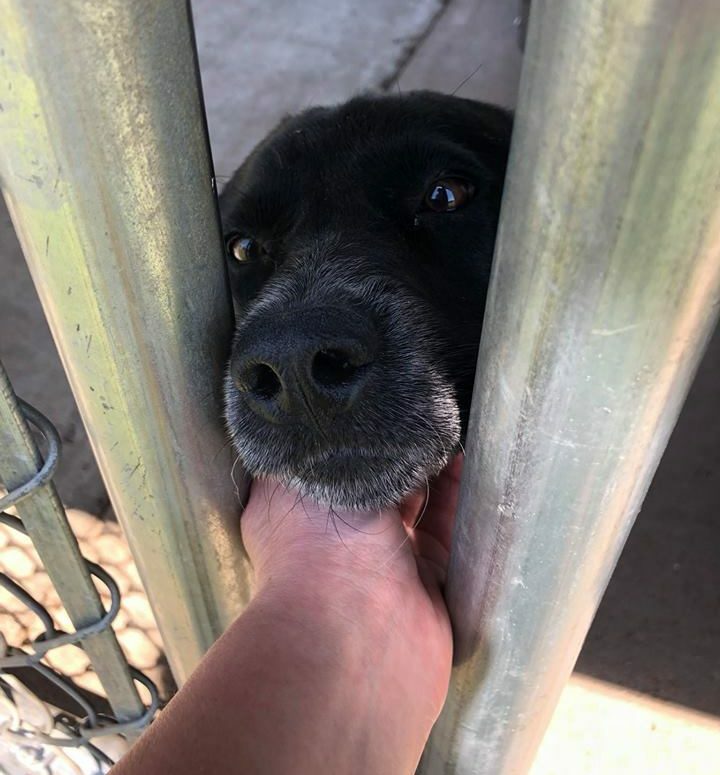 Luckily the roof covering and the newly installed screens help keeps the kennels cool in the 80-90 degree heat, but we are hopeful that the remaining dogs will find their heroes soon. 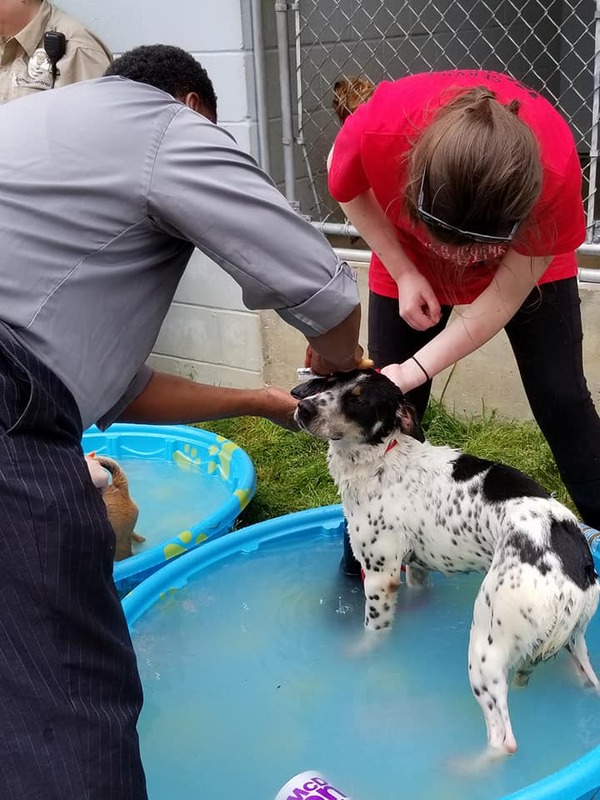 The Hazen Shelter is supported by some incredible volunteers who put in a lot of time and effort taking care of the dogs and trying to get them out of the shelter and into foster homes. We are so thankful for people like them, and all our donors who make the work we do possible. 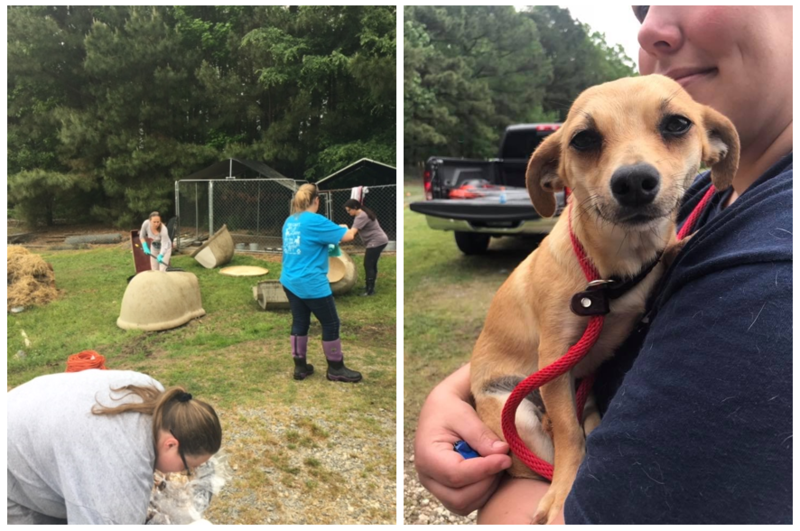 Rescuing dogs from a place with an overpopulation problem is like choosing one ice cream flavor in an ice cream shoppe full of delicious flavors. How are you supposed to just choose one? You would choose them all if you could, but your ice cream cone can only handle a few scoops. You have to get more ice cream cones (that would be more foster families in AR and New England, more resources, more volunteers, in this ridiculous analogy) or else you have to limit which flavors you choose. 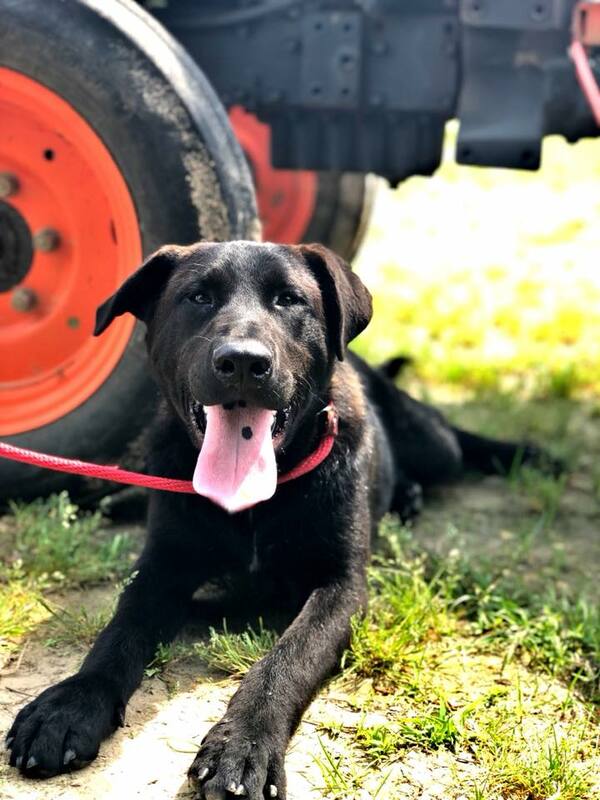 While LHK9 does take dogs with health issues, and does not discriminate on the basis of breed or age, we do have a limited number of southern and northern foster homes that are available to pull our dogs to safety. 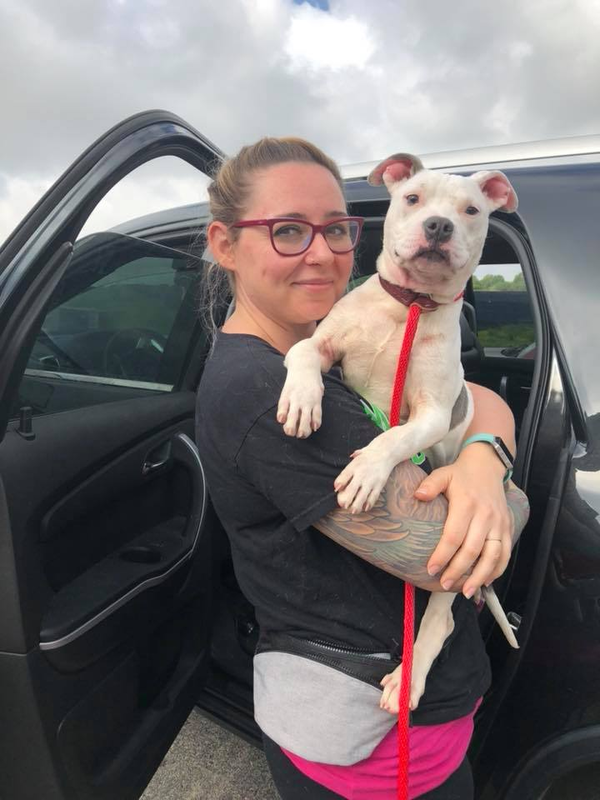 An even fewer number of foster families are willing/able to take dogs who are not good with other dogs or with new people upon first meeting them. The hard truth is that with limited resources and unlimited dogs, our desire to save them all is stomped on by the bottom lines of reality. So, we do temperament tests. General observations – is the dog’s body language stiff or loose? Stressed or relaxed? Do you see her shaking, lip licking, panting, sweaty paws? Are her ears forward or back, is there a wrinkle on her head? Is the tail tucked, wiggly, or high? Does the dog stand leaning forward, or cowering? What about jumping, nipping, pacing? Affiliation with people – dogs live in a human world. Will she come to me with no verbal cues? Will she come when called? Maybe a fly-by? Does she like affection, and seek more when the pets stop? Is she a jumper? If so, is it a shove, or a gentle jump? Does she give kisses? Is she shaking, growling, turning away, or tucking her tail? Does she just go belly up? Observe separately for adults and for children, as the sudden movements kids make can be scary to dogs, while other dogs absolutely love children! Guarding behaviors around toys and food – will the dog allow you to take away a plastic toy, plush toy, or a bone? What does she do when you put your hand in her food bowl (we use decoy fake hands to monitor their reactions!)? Does she become stiff, or will she yield to your hand? Does she growl, or snap? To a degree, guarding is a natural behavior–in the dog world, it’s not OK to take a bone out of another dog’s mouth. But what happens if the dog picks up something she shouldn’t, and her human tries to grab it out of her mouth? These tendencies are important to know, so that they can be appropriately managed. Body handling – will she accept full body pets, or is there a part of her body that is uncomfortable to be touched? Can you inspect her ears? Will she allow you to handle her paws? Can you raise her lips 5 times to check her teeth? These are all common ways to touch a dog, i.e. in any home or at the vet, and we want to see how a dog will react to these kinds of touches. Dog-dog interactions – is she good with other dogs? Do we see any play bows, or rocking horse hops? Is she lunging, snapping, stiff, or growling? Does she pull towards the other dog, or try to avoid? 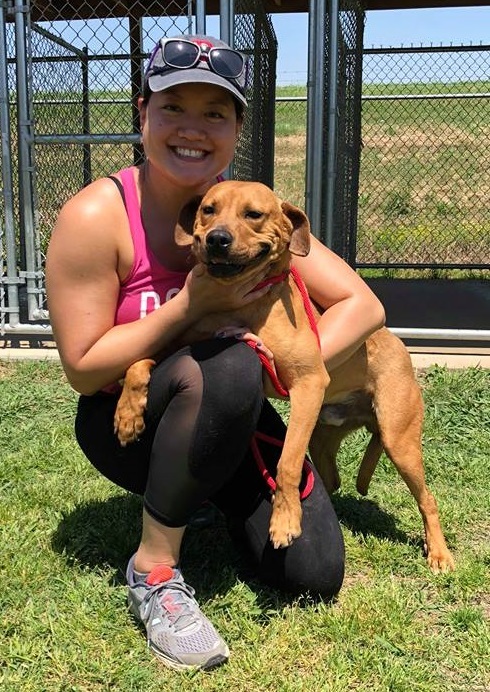 While LHK9 pulls most of our dogs from our southern shelter partners, we sometimes receive requests from local people looking to rehome their dogs as well. I’m glad that now more of our volunteers, those who took part in the temp eval training can put these skills to use, to support the LHK9 Intake team when evaluating local surrender requests! I’m so grateful that I could return to Bald Knob during this year’s trip. 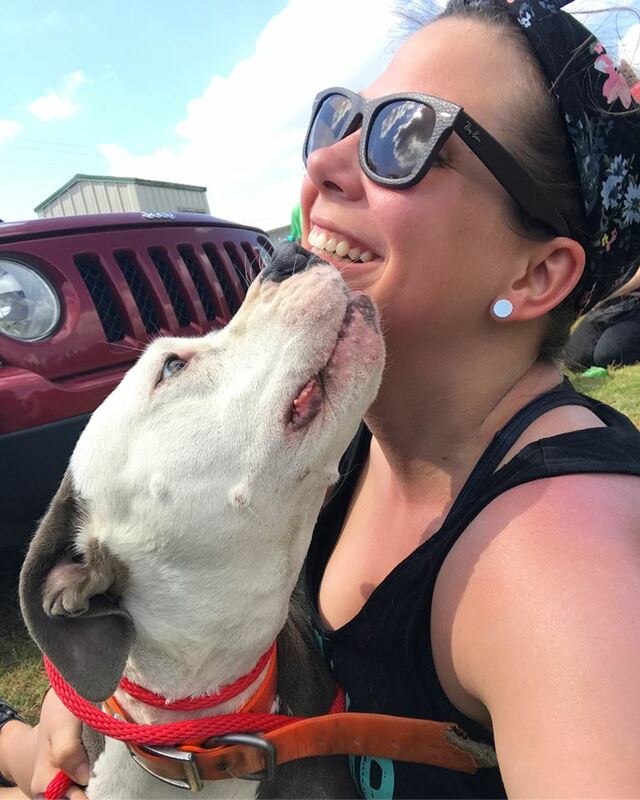 Last year was my first service trip, after joining the rescue in 2015 as a foster and adopter, and my first trip to BK left an indelible mark on me and helped me more deeply develop my commitment to rescue. 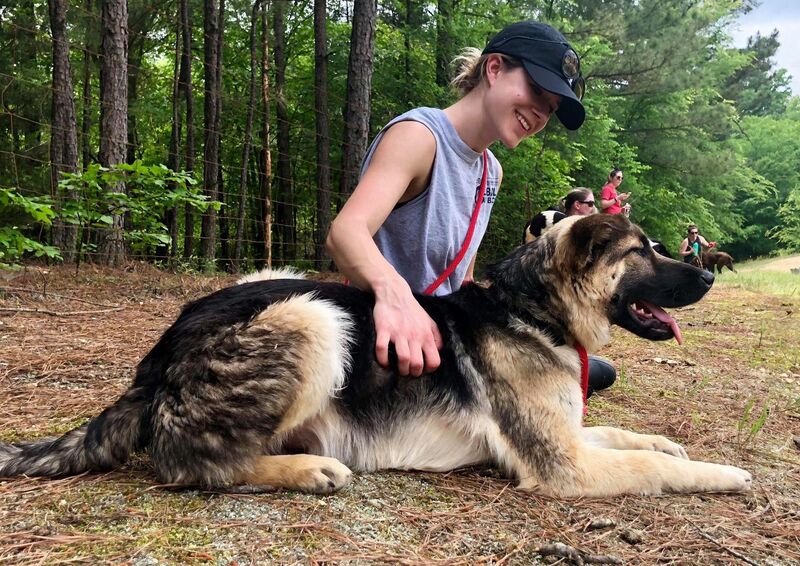 It was at BK last year that things clicked in my mind – that most people get into rescue for the dogs, but often stay for the people and relationships made along the way. 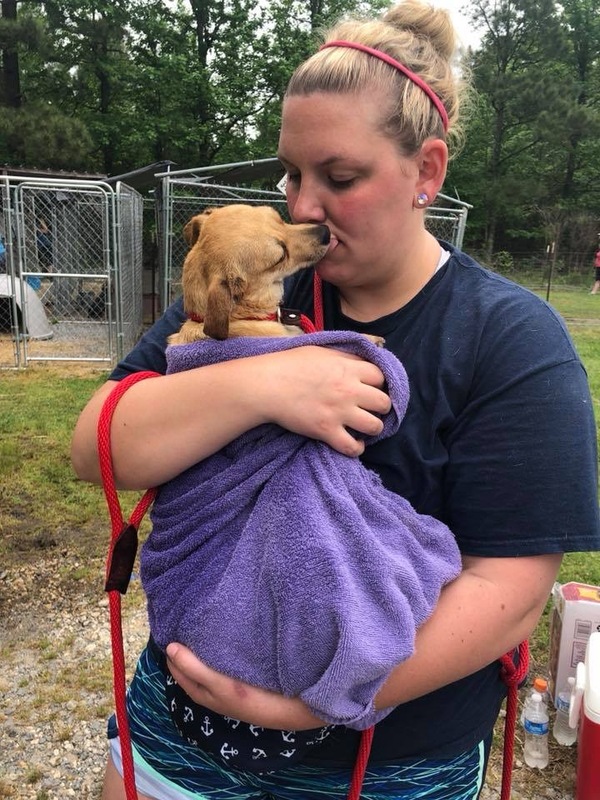 It’s no question that anyone committed to doing dog rescue has a passion for dogs, saving lives, loving on and being loved by dogs. What I didn’t necessarily realize, is that when you start feeling overwhelmed by the sea of need , and don’t feel like you’re making a dent in the overpopulation problem, or are feeling frustrated because a foster dog had explosive diarrhea, rolled around in it, and then busted out of his crate and tore through your house, or are heartbroken because you couldn’t save one who stole your heart – it’s your human comrades by your side that can keep you going . They will support you, empathize with you, validate you. In turn, they will also depend on you, hold you accountable, and push you to never stop . 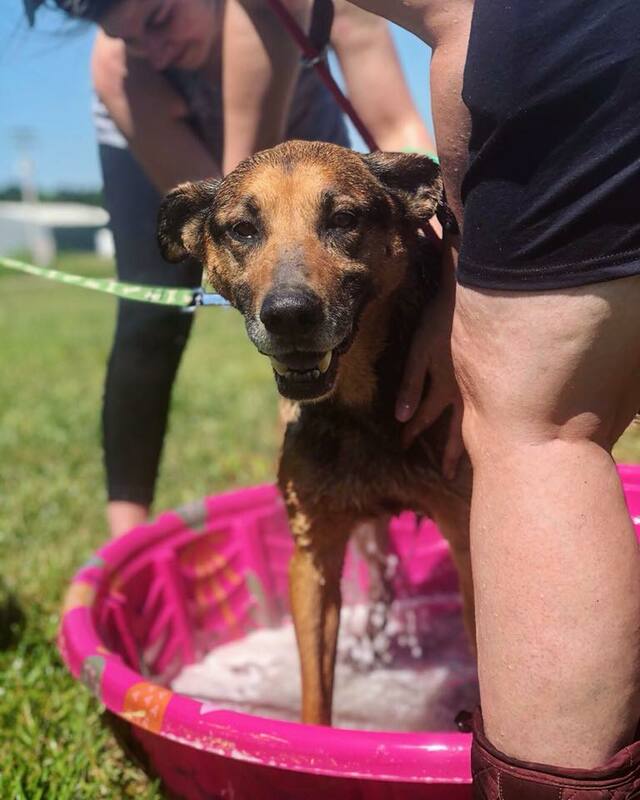 At LHK9, our commitment is to the dogs we aim to save and place in loving FURever homes, but it is also to our Southern partners who make heart-wrenching decisions every day, saving abandoned and neglected dogs from danger, witnessing the absolute worst in humanity, and ironically, who also show us the very best that humans have to offer. 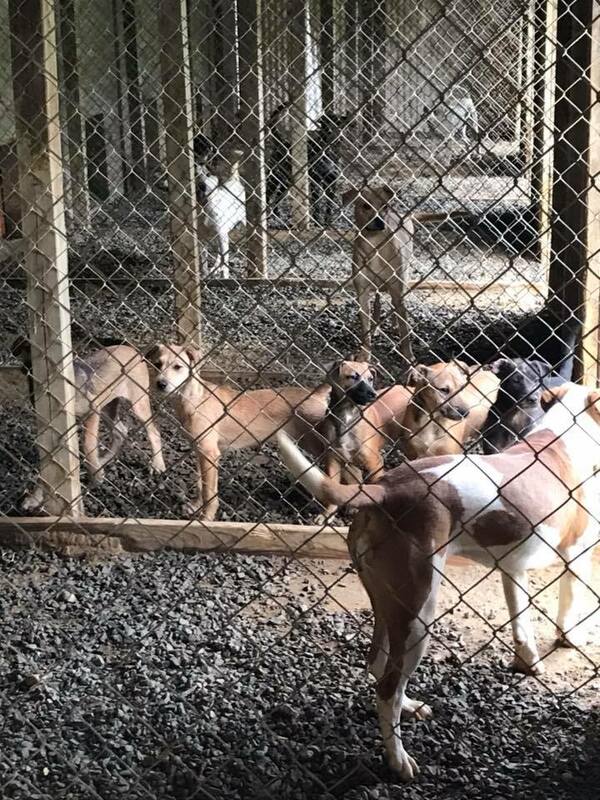 When I’m tired and worn down, I think of the dogs who need me, and Lori, Becky, Gail, Chuck, who are our guardian angels of the Bald Knob dogs, and the countless others who pull their weight and depend on us to pull ours, too. 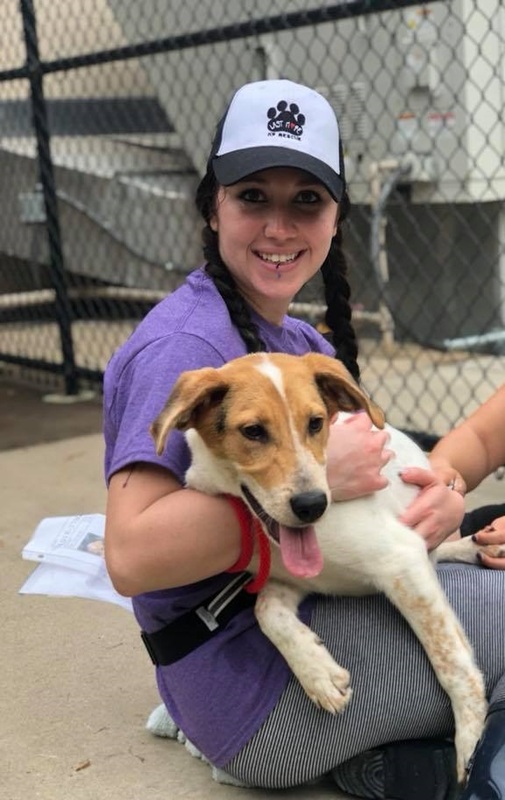 To learn about fostering in Arkansas or the greater Boston area, please visit Rescue Road (AR) and Last Hope K9 Rescue (MA) on Facebook, or go to www.lasthopek9.org. I feel like it’s only right to start from the beginning: I adopted my furbaby nearly five years ago from Last Hope and immediately became friends with his northern foster mom and many other Last Hope fosters and volunteers. It wasn’t long after that that I caught the foster bug and began fostering dogs myself. My first foster dog was a feral dog who before being rescued down south had never been indoors or walked on a leash before. She was the sweetest but also extremely timid. Watching her come out of her shell in the two weeks I had her pulled at the strings of my heart and filled me with such joy that I was providing a loving, caring home for her. It was such a conflict of emotions knowing that she had came from such an awful life of never having experienced that special bond between human and dog and never feeling the love she deserved. She of course was adopted and lives so happily with her fur-parents. The next few years whenever the annual service trip dates were announced I was so bummed that I could not make it due to college finals. Last year’s service trip sign up deadline slipped by me and I was so disappointed not to be able to make it yet again. So when this year’s service trip was announced I immediately jumped at the opportunity. I have seen pictures of past service trips and heard experiences from those who went in previous years. 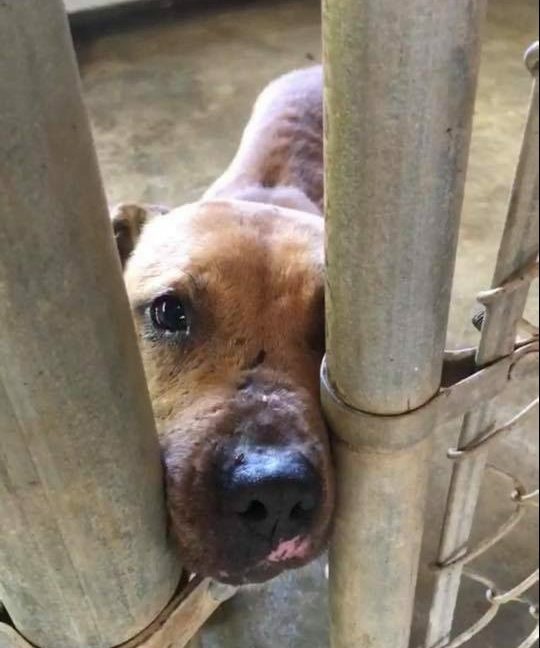 Even knowing the history and conditions of dogs that were pulled from southern shelters to be brought up north was not enough. Nothing could have prepared me for the shelters down in Arkansas. They are not anything like the shelters that I am used to seeing up here in Massachusetts. Pulling into the parking lot of Pine Bluff, I wasn’t sure what to expect. I saw two buildings, one of which was newly developed in the past few years. 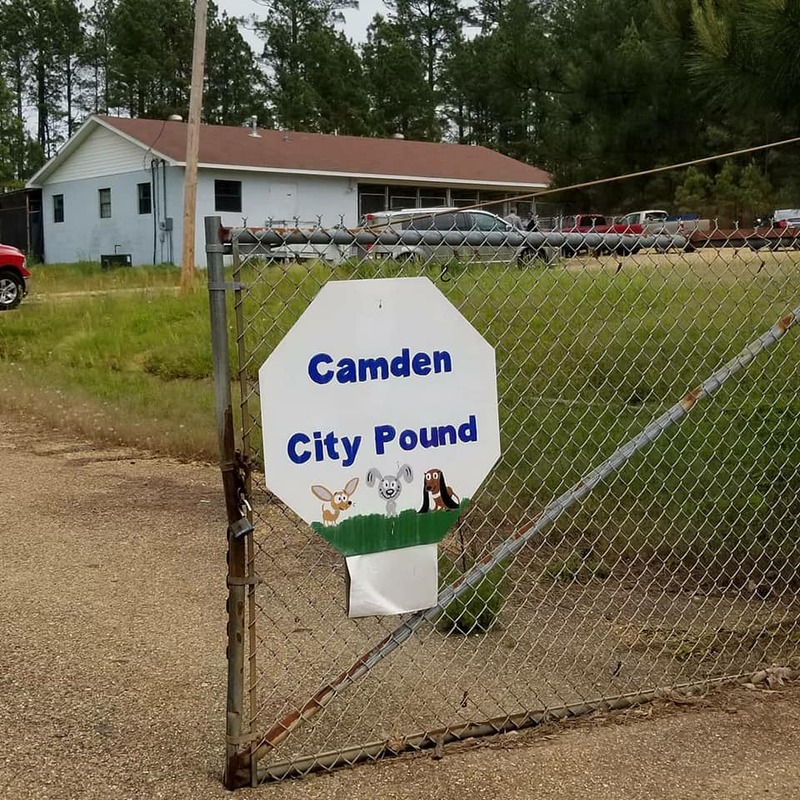 From the outside, you would never know that nearly 100 dogs were housed inside, along with a separate room full of cats. This shelter stop was different from the first two days because we did not split into groups to visit different shelters. All 47 volunteers who flew down from up north along with southern volunteers and rescue group liaisons showed up at Pine Bluff early Friday morning. We divided into groups to work on the numerous projects for the day which included installing security cameras, repairing ceilings, raking up endless piles of leaves, installing dig defence fencing systems to prevent dogs from digging under fences, painting walls, assembling 96 dog beds, deep cleaning every nook and cranny in the dog and cat kennels, trimming nails, and bathing every single dog in the shelter (besides the few bite dogs)! You could say it was a very busy day but we were all able to work together as a team to accomplish it all. 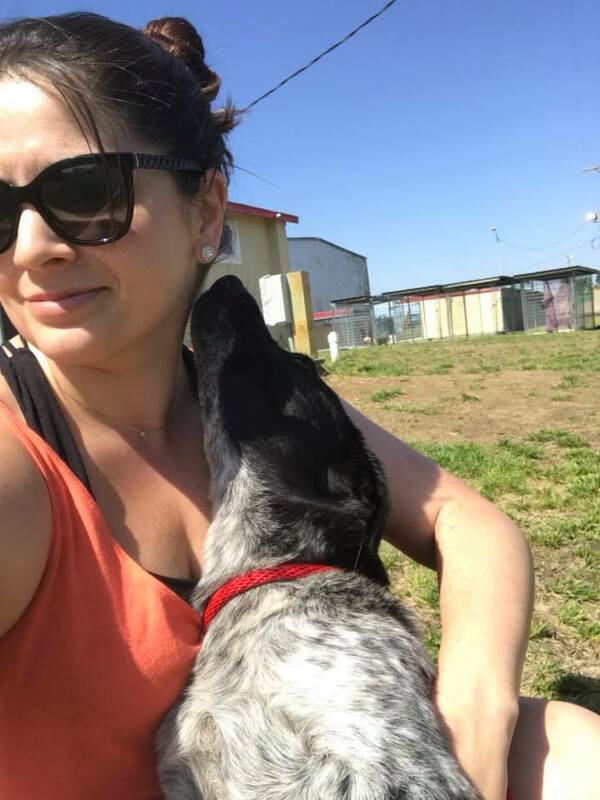 My day was full of taking puppies and dogs out of their kennels, bringing them to bathing stations, assisting in giving them baths, assisting the medical team in keeping the pups up to date on their shots and of course being smothered in puppy kisses and doggy cuddles. I even had the opportunity to name a handful of puppies and dogs that day. As joyous as holding puppies and giving them baths sounds, it was actually quite heartbreaking. All I kept thinking to myself was that I did not have enough hands or time in the day to give each and every one of those dogs the love and attention they deserve. While standing in front of one kennel, all I could see out my peripheral vision were other dogs craving that same attention. Never have I experienced an animal longing so desperately to just lick your hand or have your undivided attention for even just one minute. The hardest part of having a dog hug you and give you kisses is knowing that that loving human interaction could potentially be their last. 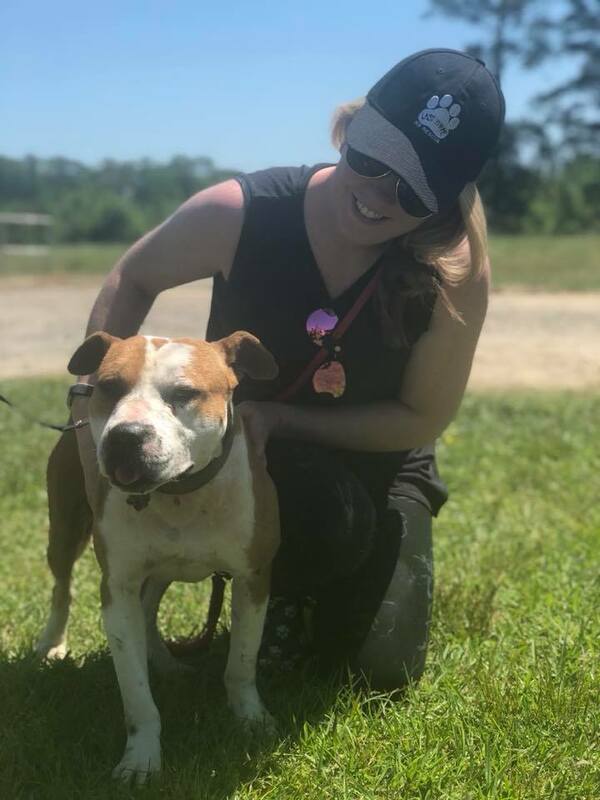 Unfortunately, many of those dogs may never have the opportunity to step foot outside of that shelter whether it’s due to medical illness, overcrowding or breed specific laws. The day before we arrived, 12 dogs had to be put down due to overcrowding. Twelve. Twelve dogs whose lives were cut too short simply because they did not get the opportunity to find a loving home. I have always been a huge proponent in telling everyone I know to adopt a dog and not buy one from a breeder or a dog store, simply based off the fact that I adopted my perfect furbaby and could not be happier. Never has the saying “adopt don’t shop” hit me as hard as it did that day. These dogs crave the one thing we all deserve in life: love. While I couldn’t possibly take all the dogs home with me, I left each one of them with a piece of my heart. 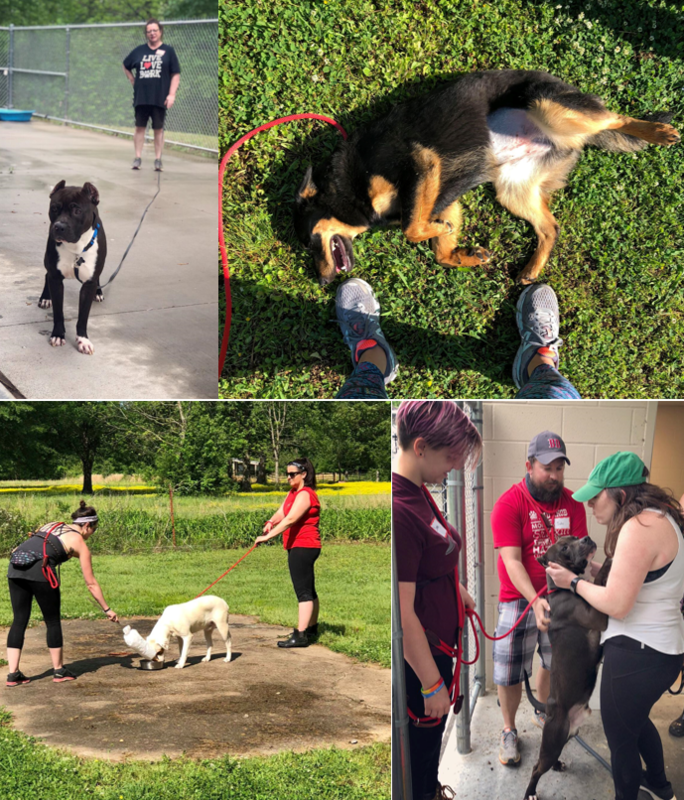 Coming on the Last Hope K9 service trip this year was a mix of emotions. I would miss my husband, my pups, days of work but I would get to meet tons of other friendly volunteers and more importantly PUPPIES! 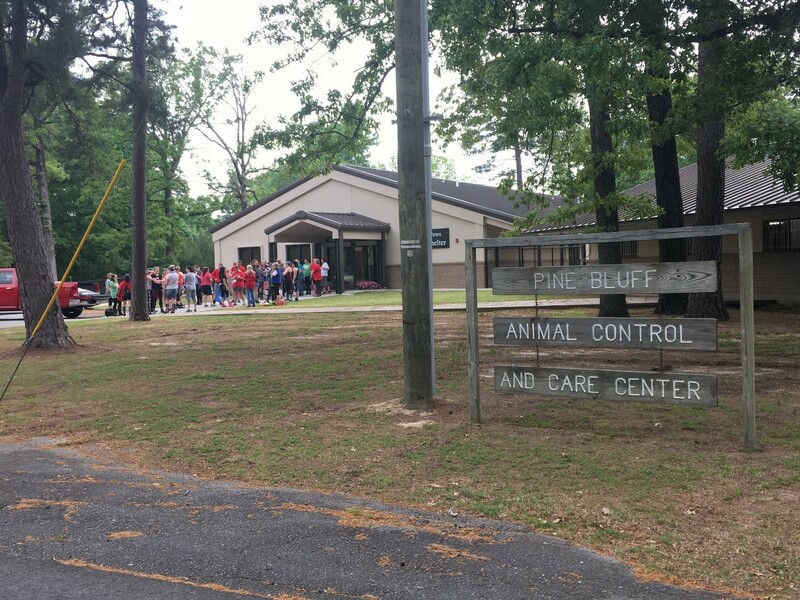 We visited the Redfield Animal Shelter on Friday after a tough morning in Pine Bluff. 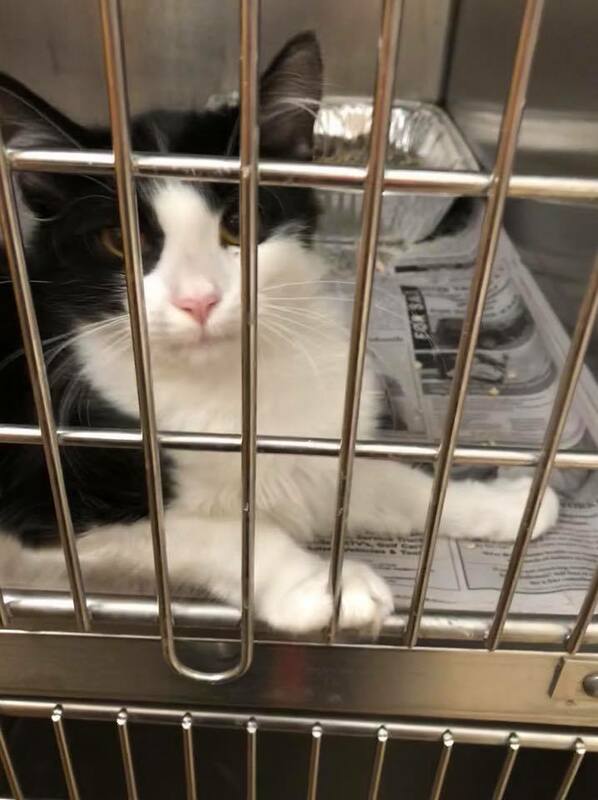 I was not sure the conditions of Redfield but I was hoping that I could shake my defeated mentality from Pine Bluff Shelter. We met Amy who was very kind and trying to make the best with very limited resources and even less man-power. She let us know that the dogs were kept in the outdoor kennels and for much of the day the sun is beating down on them. The Animal Control Officer stops by one time per day to feed the dogs and tend to them. That meant that the dogs were alone and in kennels for 23 hours per day. 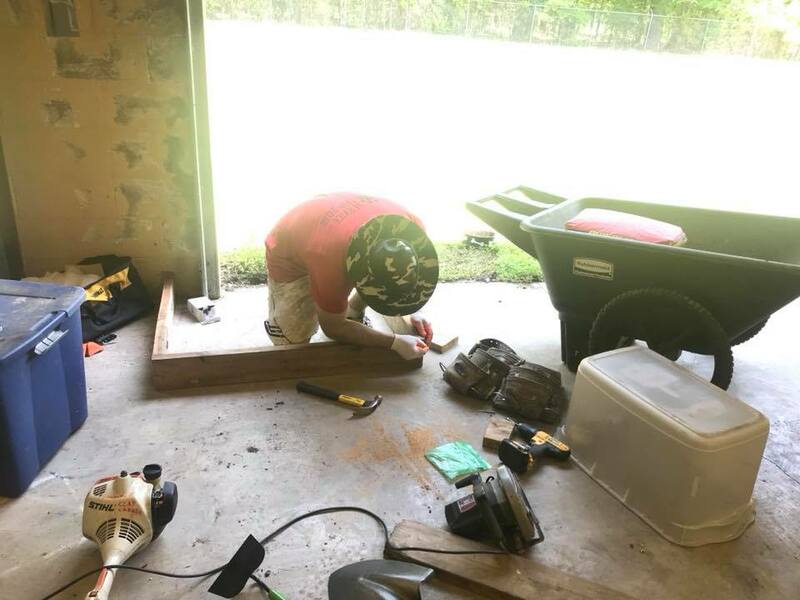 We were able to accomplish building new dog houses, cleaning all the kennels, bathing all the dogs, putting in a new ventilation system, and securing an outdoor enclosure for the dogs to play in. Amy was so grateful, but I am also so grateful for her! As we walked around the kennels there was a particular scared Chihuahua mix that was recently caught by the ACO. To say she was not adjusting well to life in a kennel would be an understatement. She would flee when anyone came near her as well as bark and bare her teeth. While many others would not take a chance on this dog, Lauren and I decided we needed to see if there was a softie inside all that ferocious exterior. We spent about 15-20 minutes trying to catch her with the slip lead and once Lauren did, the pup was not happy. She screamed and flopped and tried anything to get off that leash. We spent some more time just evaluating her and seeing if she would want human affection. After some time we were finally able to pet her and she crawled into our laps. She gave in. She trusted that we wouldn’t harm her, and I fell in love (again). We named her Lil’ Meg (she has the same blonde hair color as me ). Every time I tried to put Lil’ Meg down she would crawl right back up into my arms. 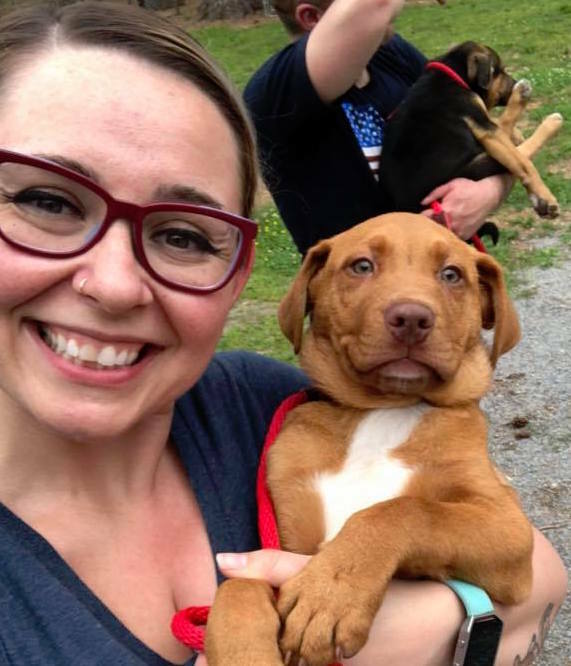 Lauren and I were lucky enough to find her an amazing AR foster (thank you Holly!) and Lil’ Meg will now never have to spend her life in an outdoor kennel. 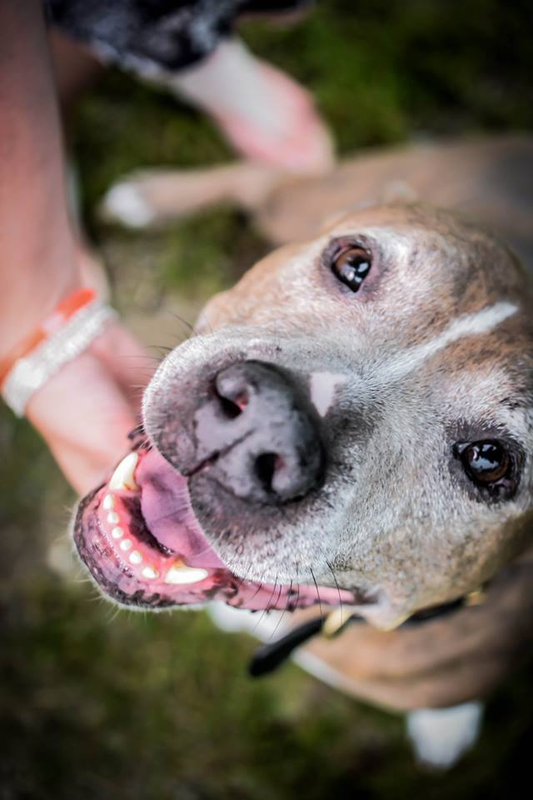 She will be loved and cherished up in Boston. 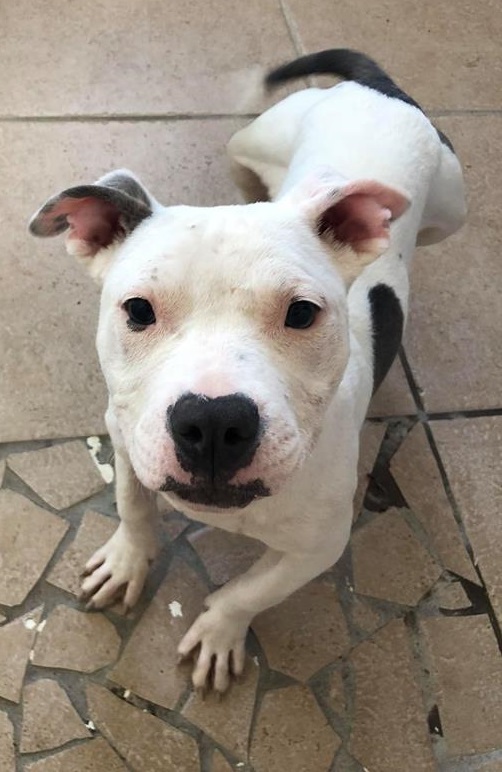 While I know we are not able to save all the dogs, I am so happy that we were able to save Lil’ Meg and change her whole future. It’s day 1 of the service trip, and I don’t know what to expect. See I’ve never gone on the trip before, and I don’t even know most volunteers I’ll be traveling with. Nervous and excited I was ready to do this! I started my day at 04:00, and made it to Little Rock by 11:45; meeting some great volunteers along the way. So far, so good! Immediately we’re off to do what we’ve come down for, we’re off to the shelters. Be kind to our friends? You mean love them to pieces? Of course, we can do that! We got to cuddle, feed, and bathe some adorable puppies. I mean look at the pictures, AH-DOOR-AH-BLE! But it’s not just about the puppies, we got to walk and show love to all the dogs, young and old. And we didn’t forget about you kitty cats! We made sure to show them some love as well. Something that struck me on this visit was the care of the animals. I felt like they really-really care about all the animals, not just in this facility, but all the animals everywhere. Hearing the staff talk about the programs they run for the town is something special. I was really impressed with their passion, and dedication. I left Saline County feeling great; this was a happy way to start to our trip. And it has me thinking what else can we do to help these pups? Day 2 – here we come!